Governor Cuomo unveiled his "2019 Justice Agenda," urging action in the first 100 days of the legislative session. This bold, comprehensive set of proposals aims to improve reproductive, economic and social justice for all New York women. Andrew M. Cuomo, re-elected the 56th Governor of New York State on November 6, 2018, has a lifelong commitment to public service and the proven leadership skills to make government work for the people of the state. Seven states join New York's nationwide campaign to fight back against the devastating impact of the elimination of full SALT deductibility. New York’s Green New Deal is a nation-leading clean energy and jobs agenda that will aggressively put New York State on a path to carbon neutrality. New York once again stands as a beacon of hope and opportunity for the entire nation. Under the leadership of Governor Andrew M. Cuomo, New York continued to invest in the State’s upward economic trajectory, took action to shield New Yorkers from the federal assault on our state, and passed groundbreaking legislation to uphold our progressive values and set an example for the nation. 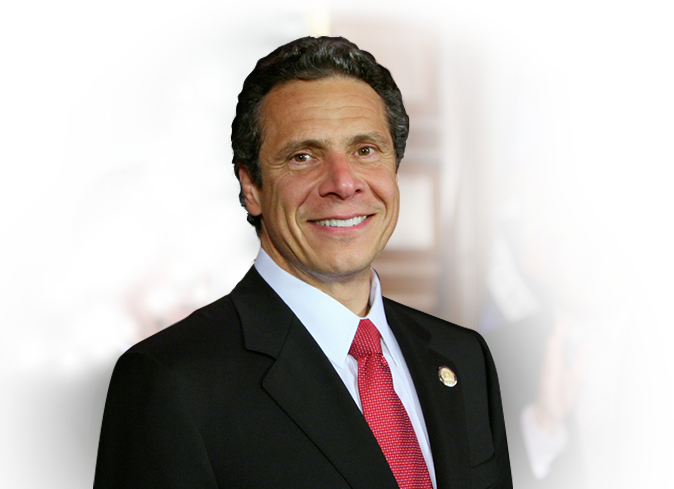 Governor Cuomo launched an education and outreach campaign to prevent unlawful pregnancy discrimination. Governor Cuomo launched the Empire State Relief and Recovery Effort for Puerto Rico to provide continued services, goods and funds to help the island recover and rebuild. Rebuilding and reimagining the State’s capital assets, with investments in roads and bridges, mass transit, affordable housing, State colleges and universities, clean water infrastructure, health care infrastructure and State Parks. New York is making the highest ever investment in K-12 education with a 36 percent increase since 2012. The new rates are delivering an average of $250 in savings this year and, when fully effective, six million New York households will save $700 annually. Stay updated on our progress.